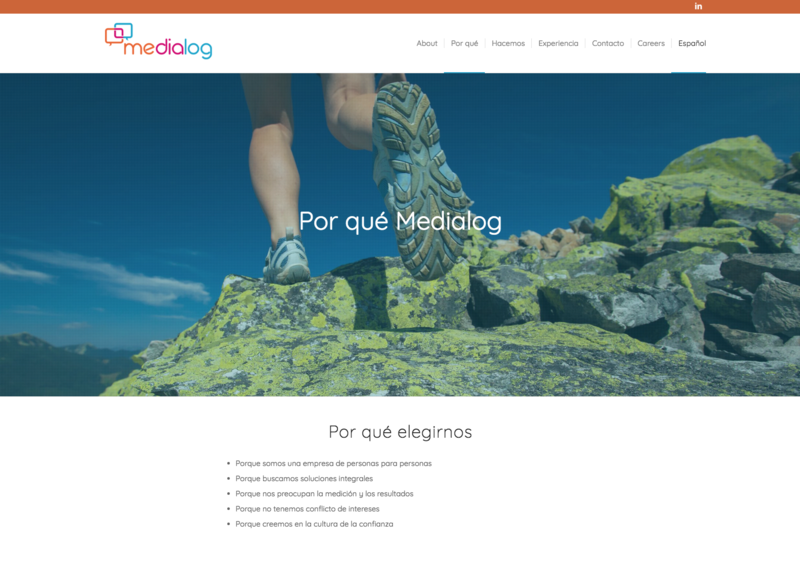 Medialog is an omnichannel and independent media agency based in Barcelona. They asked for to create a new brand site. They wanted something very quick and fast, responsive and self-edited. They made a request use WordPress to develop the website. WordPress is the free easiest content management system. We created with our client a new architectural information. Hand by hand we developed the content tree, reviewing each section and creating the site. We designed a responsive web based on the client’s graphical guidelines and created new digital code. We composed a Child theme’s based on a template to add new features. We used Enfold theme a friendly theme with EBAVS as we worked on Transmitting science or Venga. Trained the client, creating a user manual to manage the content and all the site. Optimized the site by installing the necessary plugins: languages, security and cache. New sites with a responsive design web. Create new digital graphical guidelines. Improve the digital communication with our client. Do you want a web similar as Medialog?